Navigation is an essential element of space and flight sims, and it is also important that AI steer and move correctly. Mercuna takes your gameplay beyond combat in simple, open spaces, and gives you the freedom to explore all the endless possibilities of complex environments. With Mercuna, your AI can fly around space stations and through buildings, or enable AI to dogfight close to moving asteroids and chase players through twisty mines or tunnels. Gameplay around complicated structures and combat in confined spaces requires a volumetric navigation solution. The Mercuna middleware enables AI action close to terrain and through gaps in structures. Our sparse navigation octree maps the fine-detailed topography of your levels, ensuring flight can take place close to geometry without any collisions. When travelling long distances, you can take full advantage of our asynchronous hierarchical pathfinding and spatial searches to perform long-range queries without impacting your game’s performance. Good flight is also about more than just 3D pathfinding. Mercuna generates smoothed paths so that flight looks more realistic, avoiding any jerks or pauses as the AI flies around corners and makes turns in space. Our steering and movement modules can be configured to replicate Newtonian physics so that players get to experience real flight, but it can also be used to create a more arcade-style movement. 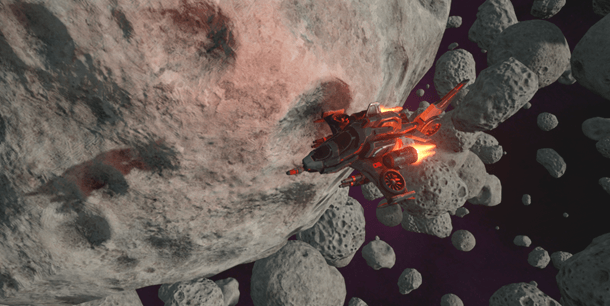 Our dynamic avoidance system means that AI can fly around in the middle of an asteroid belt or city without crashing into each other, or into adjacent objects. FPS and RPGs typically focus on ground-based enemies with little aerial combat or interaction. 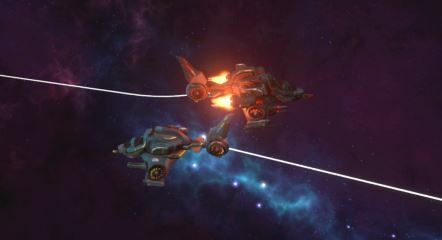 Mercuna can remove that limitation and add another dimension of gameplay by populating the skies with aerial AI. Make an FPS much more fun and unpredictable by adding flying drones that hunt down players. Allow players to range far and wide across your maps as they ride dragons through the air and gain a whole new perspective of the game in RPGs. By adding flying enemies to primarily ground-based titles you can provide a whole new element of interaction, adding variability and replayability to your game. Dragons can use Mercuna custom EQS generators and tests to construct powerful queries to identify and prioritise attack positions, before swooping down and terrorising villages, while birds scatter and flying skulls swarm the heros. Have flying drones patrol cities hunting down players and forcing them to always keep one eye on the sky. FPS and RPG games do not need to be confined to the ground when using Mercuna to power flying AI. We first developed Mercuna for the open, 3D worlds of space but soon realised that flying navigation was equally effective for underwater games. Mercuna can power AI to swim among underwater worlds filled with foliage, shipwrecks, tunnels, cities and so much more. With our middleware, you can have eels slithering between plants, sharks tracking its prey through rock formations and submarines lining up attacks from underwater buildings, all in the same game. Mercuna is so powerful and configurable, that you can really let your imagination go. Allow the technology to meet the vision and create an endlessly interesting and complex game.